Boeing said Monday that its board of directors has given the green light to develop a new super-stretched version of its single-aisle 737 Max. Boeing (BA) wants to punch back at Airbus (EADSF), which is outselling the U.S. plane maker roughly five to one in sales for the biggest single-aisle jets. So what is this latest model of Boeing's best-selling airliner? The 737 Max 10 is five-and-a-half feet longer than its current 737 Max 9 to squeeze more seats. The Max 9 typically seats 178. The new model will seat between 180 and 230 passengers. 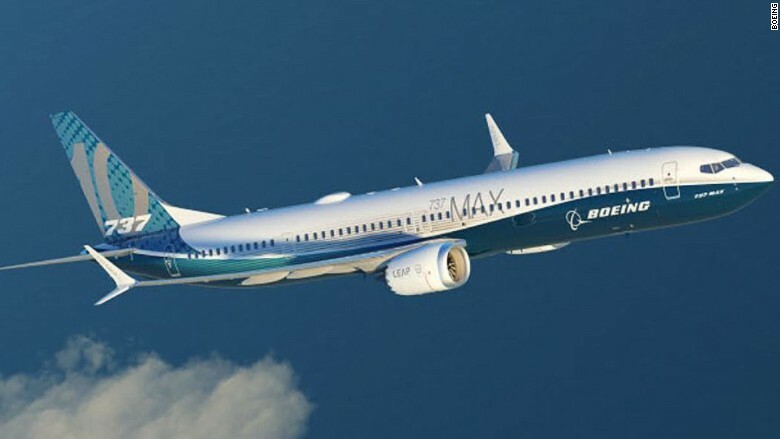 As part of the new move -- announced at the Paris Air Show -- Boeing said it will unveil later this week orders and commitments for more than 240 737 Max 10 jets from more than 10 customers. With those orders in hand, Boeing and its engineers will have the jet ready for airlines in 2020. Boeing has around 3,700 orders for the whole Max family. But its largest jet, the 737 Max 9, which is making its debut here this week, has been a paltry seller versus the A321neo. The 737 Max 9 is expected to be delivered to airlines in 2018. But airlines wanted more seats on the jet and Boeing went back to the drawing board for a new model. "Our customers told us to build it bigger," said Kevin McAllister, Boeing Commercial Airplane chief executive Kevin McAllister on Monday. The first member of the Max family, the Max 8, entered service last month, flying with a Malaysian low-cost airline, Malindo Air. Boeing is promising airlines a 14% decrease in fuel usage, primarily due to its two new engines and aerodynamic improvements. The Max 10 is the fifth member of Boeing's family of single-aisle aircraft and the third model launched in as many years. 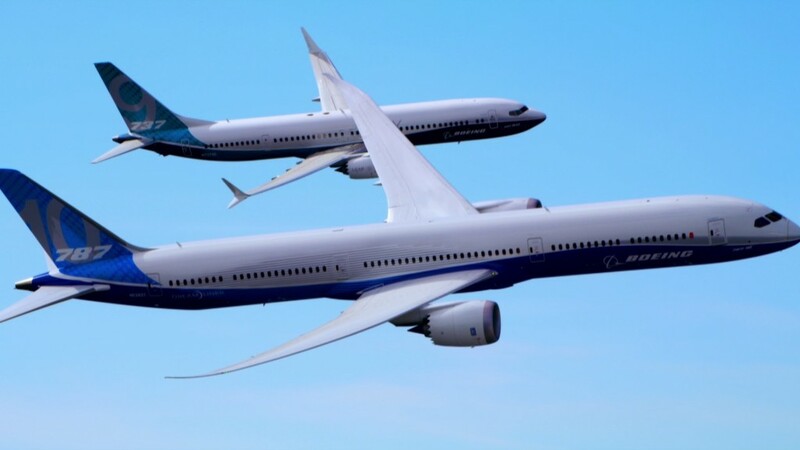 That raised questions among Wall Street and airlines about whether Boeing is stretching its workhorse jet too far to compete with Airbus. "I leave it to our customers to tell us if our family is right," said McAllister in a media roundtable here on Sunday. The Max 10 "looks great and we've got a lot of customers interested." Airlines are increasingly selecting bigger single-aisle jets. They made up more than 40% of Airbus's single-aisle jet deliveries in 2016, up from just 13% in 2010. Airlines like American Airlines, JetBlue Airways and Delta Air Lines have made the A321 a workhorse in the United States on transcontinental routes.